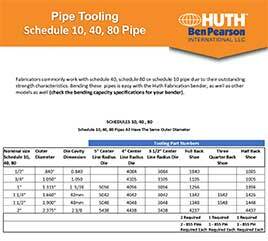 Use this chart to help identify your segmented tooling. 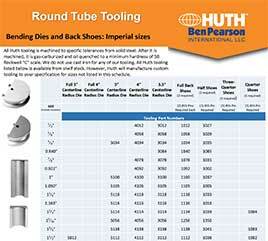 Use this chart to help identify the replacement o'rings for your specific Huth segment set. Use this chart to identify your segment rings. Add to your bending versatility! 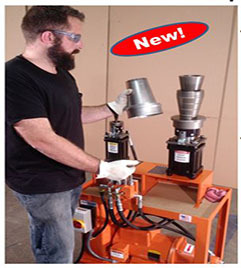 These universal bending dies allow you to bend a large variety of solid materials. The 5531 Controlled Wrinkle Die has been designed to bend 3", 304 SS with a .059 wall (1.5mm) or heavier. This die works with our Heavy Duty Model 2600 Bender only. We have the capability to add the wrinkle cavities to other radius dies suited for your specific model. For more information, please contact us.